– drogą listowną na adres: ul. Stroma 5/1, 87-100 Toruń. Playprint Ltd. 80 St. Ignatious Road, Dublin 7 Ireland. 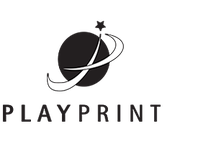 Playprint Ltd. NEP Business Park Unit 12, Stratford Road Pattinson Ind. Estate (South) Washington Tyne & Wear NE38 8QP England.